Here (finally) is the talk I gave at the 2012 MLA Convention in Seattle. I was on Lori Emerson’s Reading Writing Interfaces: E-Literature’s Past and Present panel, along with Dene Grigar, Stephanie Strickland, and Marjorie Luesebrink. Lori’s talk on e-lit’s stand against the interface-free aesthetic worked particularly well with my own talk, which focused on Erik Loyer’s Strange Rain. I don’t offer a reading of Strange Rain so much as I use the piece as an entry point to think about interfaces—and my larger goal of reframing our concept of interfaces. 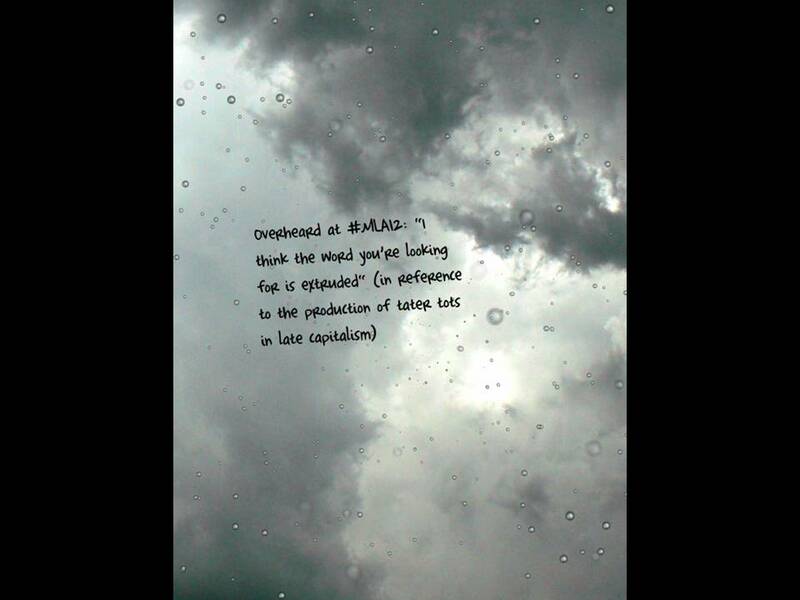 Today I want to talk about Strange Rain, an experiment in digital storytelling by the new media artist Erik Loyer. 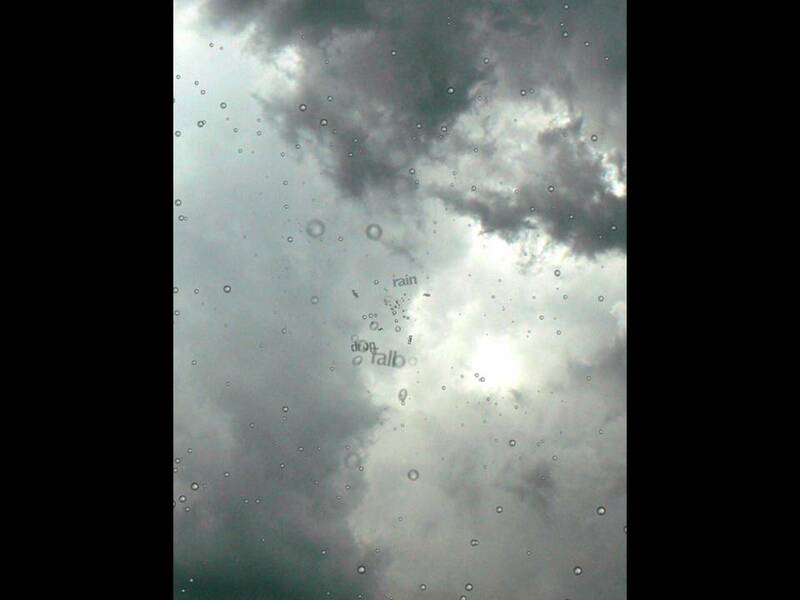 Strange Rain came out in 2010 and runs on Apple iOS devices—the iPhone, iPod Touch, and iPad. As Loyer describes the work, Strange Rain turns your iPad into a “skylight on a rainy day.” You can play Strange Rain in four different modes. In the wordless mode, dark storm clouds shroud the screen, and the player can touch and tap its surface, causing columns of rain to pitter patter down upon the player’s first-person perspective. The raindrops appear to splatter on the screen, streaking it for a moment, and then slowly fade away. Each tap also plays a note or two of a bell-like celesta. The other modes build upon this core mechanic. In the “whispers” mode, each tap causes words as well as raindrops to fall from the sky. The “story” mode is the heart of Strange Rain. Here the player triggers the thoughts of Alphonse, a man standing in the rain, pondering a family tragedy. And finally, with the most recent update of the app, there’s a fourth mode, the “feeds” mode. This allows players to replace the text of the story with tweets from a Twitter search, say the #MLA12 hashtag. Note that any authorial information—Twitter user name, time or date—is stripped from the tweet when it appears, as if the tweet were the player’s own thoughts, making the feed mode more intimate than you might expect. In Pocket Pond, every touch of the screen creates a rippling effect. 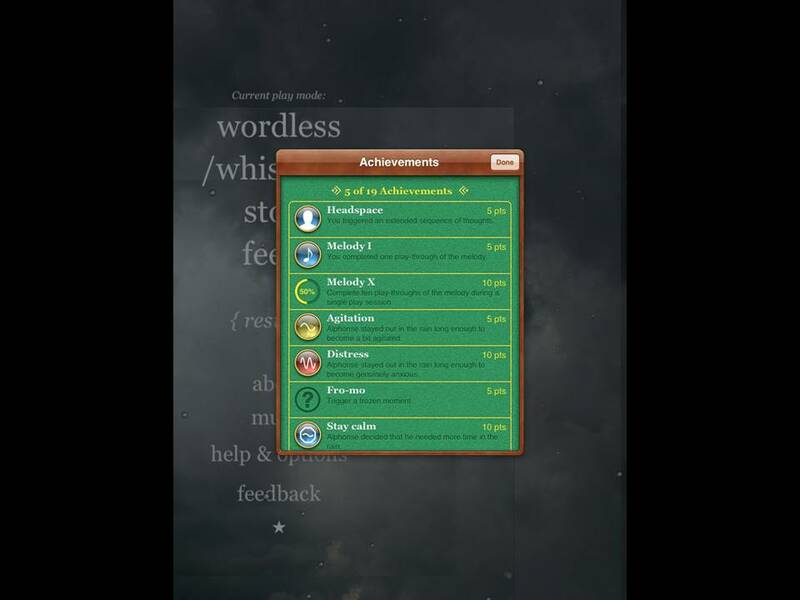 The digital equivalent of a miniature zen garden, these apps allow us to contemplate minimalistic nature scenes on devices built by women workers in a FoxConn factory in Chengdu, China. It’s appropriate that it’s the “wordless mode” that provides the seemingly most unmediated or direct experience of Strange Rain, when those workers who built the device upon which it runs are all but silent or silenced. The “whispers” mode, meanwhile, with its words falling from the sky, recalls the trope in new media of falling letters—words that descend on the screen or even in large-scale multimedia installation pieces such as Camille Utterback and Romy Achituv’s Text Rain (1999). 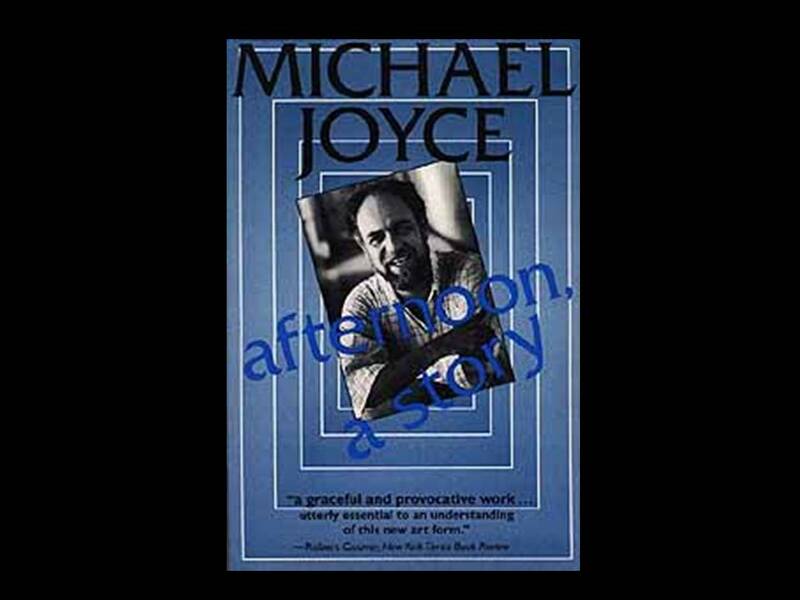 And of course, the story mode even more directly situates Strange Rain as a work of electronic literature, allowing the reader to tap through “Convertible,” a short story by Loyer, which, not coincidentally I think, involves a car crash, another long-standing trope of electronic literature. …(though I’m not sure it did), but certainly today there are many more metaphors one can use to describe electronic literature than a car crash. And in fact I’d suggest that Strange Rain is intentionally playing with the car crash metaphor and even overturning it with its slow, meditative pace. 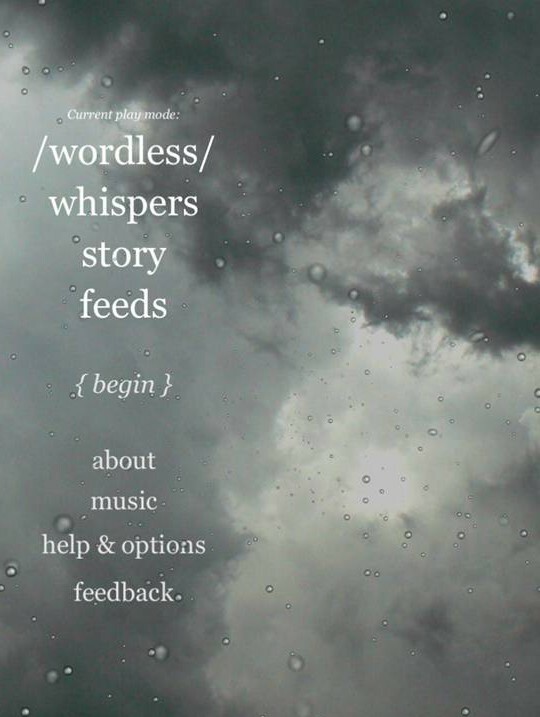 The way users can tap through Alphonse’s thoughts in Strange Rain recalls one of Moulthrop’s own works, the post-9/11 Pax, which Moulthrop calls, using a term from John Cayley, a “textual instrument”—as if the piece were a musical instrument that produces text rather than music. There’s plenty to say about all of these framing elements of Strange Rain—as an artwork, a story, a game, an instrument—but I want to follow Wardrip-Fuin’s advice and think about the question, how is Strange Rain played? More specifically, what is its interface? 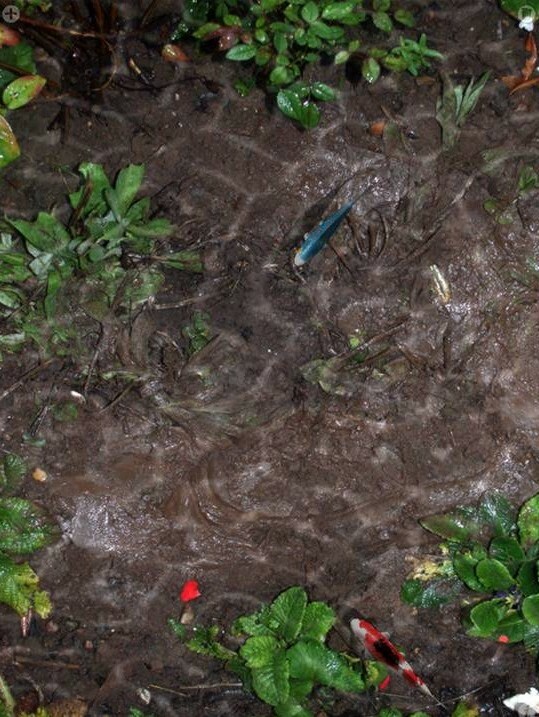 What happens when we think about Strange Rain in terms of the poetics of motion and touch? Let me show you a quick video of Erik Loyer demonstrating the interface of Strange Rain, because there are a few characteristics of the piece that are lost in my description of it. A key element that I hope you can see from this video is that the dominant visual element of Strange Rain—the background photograph—is never entirely visible on the screen. 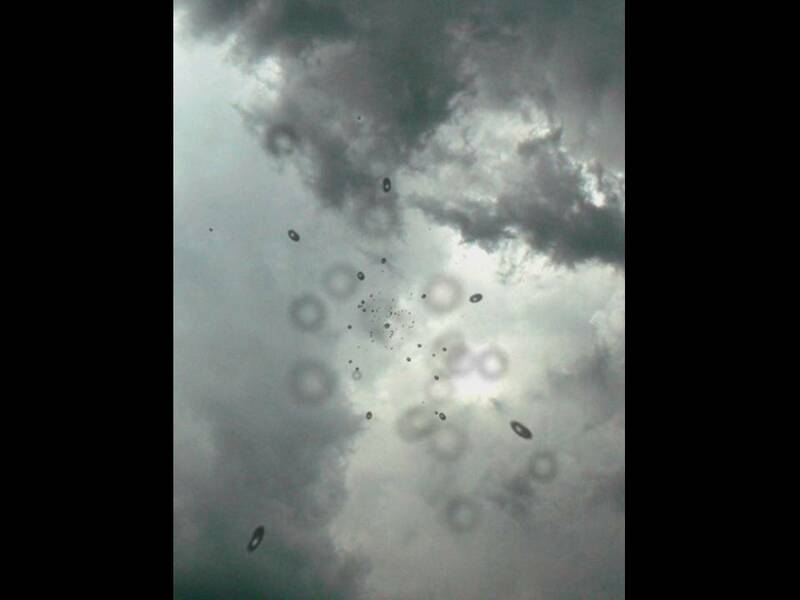 The photograph was taken during a tornado watch in Paulding County in northwest Ohio in 2007 and posted as a Creative Commons image on the photo-sharing site Flickr. But we never see this entire image at once on the iPad or iPhone screen. The boundaries of the photograph exceed the dimensions of the screen, and Strange Rain uses the hardware accelerometer to detect your motion, your movements. So that when you tilt the iPad even slightly, the image tilts slightly in the opposite direction. It’s as if there’s a larger world inside the screen, or rather, behind the screen. And this world is broader and deeper than what’s seen on the surface. Loyer described it to me this way: it’s “like augmented reality, but without the annoying distraction of trying to actually see the real world through the display” (Loyer 1). This kinetic screen is one of the most compelling features of Strange Rain. As soon as you pick up the iPad or iPhone with Strange Rain running, it reacts to you. The work interacts with you before you even realize you’re interacting with it. Strange Rain taps into a kind of “camcorder subjectivity”—the entirely naturalized practice we now have of viewing the world through devices that have cameras on one end and screens on the other. Think about older videocameras, which you held up to your eye, and you saw the world straight through the camera. And then think of Flip cams or smartphone cameras we hold out in front of us. We looked through older videocameras as we filmed. We look at smartphone cameras as we film. So when we pick up Strange Rain we have already been trained to accept this camcorder model, but we’re momentarily taken aback, I think, to discover that it doesn’t work quite the way we think it should. That is, it’s as if we are shooting a handheld camcorder onto a scene we cannot really control. This aspect of the interface plays out in interesting ways. Loyer has an illustrative story about the first public test of Strange Rain. As people began to play the piece, many of them held it up over their heads so that “it looked like the rain was falling on them from above—many people thought that was the intended way to play the piece” (Loyer 1). That is, people wanted it to work like a camcorder, and when it didn’t, they themselves tried to match their exterior actions to the interior environment of the piece. 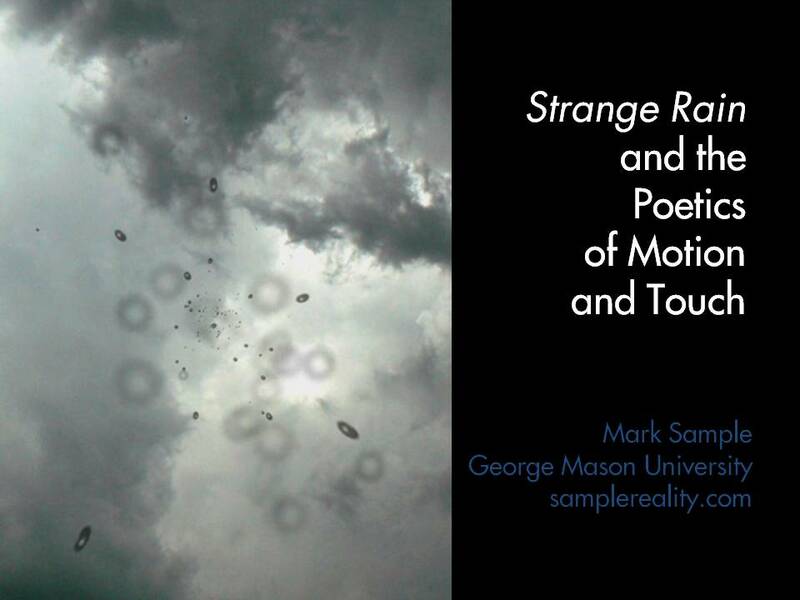 There’s more to say about the poetics of motion with Strange Rain but I want to move on to the idea of touch. We’ve seen how touch propels the narrative of Strange Rain. Originally Loyer had planned on having each tap generate a single word, though he found that to be too tedious, requiring too many taps to telegraph a single thought (Loyer 1). It was, oddly enough in a work of playable media that was meant to be intimate and contemplative, too slow. Or rather, it required too much action—too much tapping—on the part of reader. So much tapping destroyed the slow, recursive feeling of the piece. It becomes frantic instead of serene. Loyer tweaked the mechanic then, making each tap produce a distinct thought. Nonetheless, from my own experience and from watching other readers, I know that there’s an urge to tap quickly. In the story mode of Strange Rain you sometimes get caught in narrative loops—which again is Loyer playing with the idea of recursivity found in early hypertext fiction rather than merely reproducing it. Given the repetitive nature of Strange Rain, I’ve seen people want to fight against the system and tap fast. You see the same thought five times in a row, and you start tapping faster, even drumming using multiple fingers. And the piece paradoxically encourages this, as the only way to bring about a conclusion is to provoke an intense moment of anxiety for Alphonse, which you do by tapping more frantically. I’m fascinated by with this tension between slow tapping and fast tapping—what I call haptic density—because it reveals the outer edges of the interface of the system. Quite literally. Move from three fingers to four—easy to do when you want to bring Alphonse to a crisis moment—and the iPad translates your gestures differently. Four fingers tells the iPad you want to swipe to another application, the Windows equivalent of ALT-TAB. The multi-touch interface of the iPad trumps the touch interface of Strange Rain. There’s a slipperiness of the screen. The text is precipitously and perilously fragile and inadvertently escapable. The immersive nature of new media that years ago Janet Murray highlighted as an essential element of the form is entirely an illusion. I want to conclude then by asking a question: what happen when we begin to think differently about interfaces? We usually think of an interface as a shared contact point between two distinct objects. The focus is on what is common. But what if we begin thinking—and I think Strange Rain encourages this—what if we begin thinking about interfaces in terms of difference. Instead of interfaces, what about thresholds, liminal spaces between two distinct elements. How does Strange Rain or any piece of digital expressive culture have both an interface, and a threshold, or thresholds? What are the edges of the work? And what do we discover when we transgress them? “Apple iPad Factory Explosion Leaves 61 Injured, Some Workers Hospitalized.” The Inquisitr. 6 Jan. 2012. 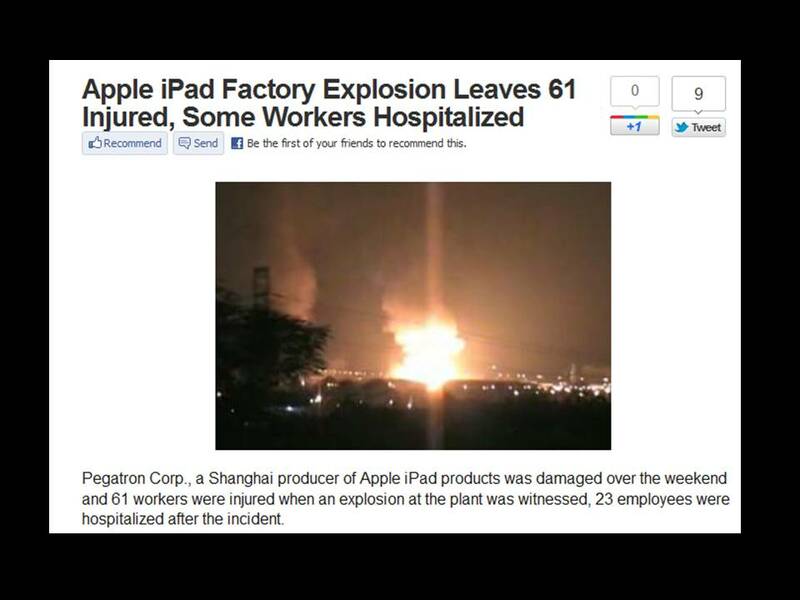 <http://www.inquisitr.com/170359/apple-ipad-factory-explosion-leaves-61-injured/>. davitydave. Screen Capture. 2011. 5 Feb. 2012. <http://www.flickr.com/photos/dlytle/5322490101/>. drakegoodman. Injured driver & badly damaged vehicle from Kraftwagen Depot München, June 1915. 1915. 26 Dec. 2011. <http://www.flickr.com/photos/drakegoodman/3965852354/>. Frazzetto, Bill. 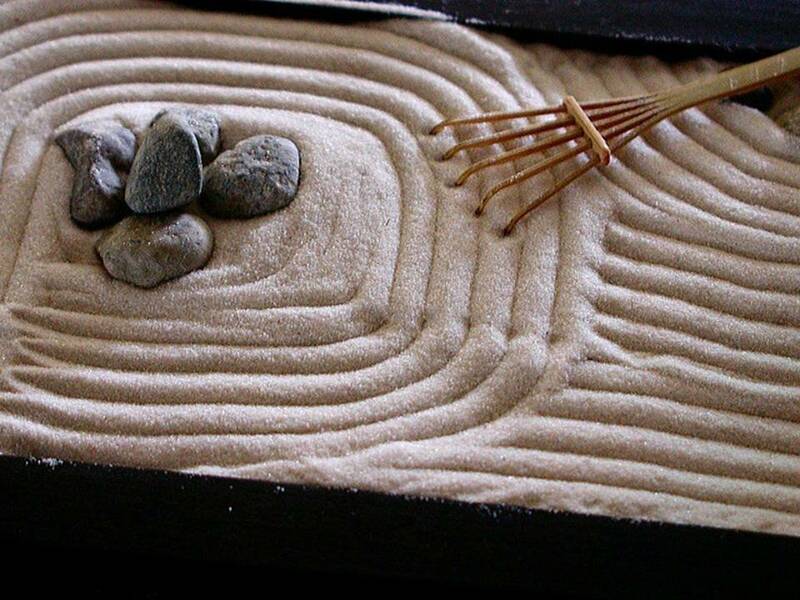 Mini Zen Garden. 2005. 7 Jan. 2012. <http://www.flickr.com/photos/bfraz/11768352/>. Loyer, Erik. “Re: Strange Rain and MLA12.” Email to Author. 6 Jan. 2012. Mazur, Benny. Dramatic clouds over the fields. 2007. 12 Mar. 2011. <http://www.flickr.com/photos/benimoto/1231535595/>. Moulthrop, Stuart. “About Pax.” Pax 15 May 2003. 30 Dec. 2011. <http://iat.ubalt.edu/moulthrop/hypertexts/pax/about.htm>. —. “The Crash of Something into Nothing.” Eastgate Quarterly Review of Hypertext 1.2 (1994) : 5-13. Print. Utterback, Camille. 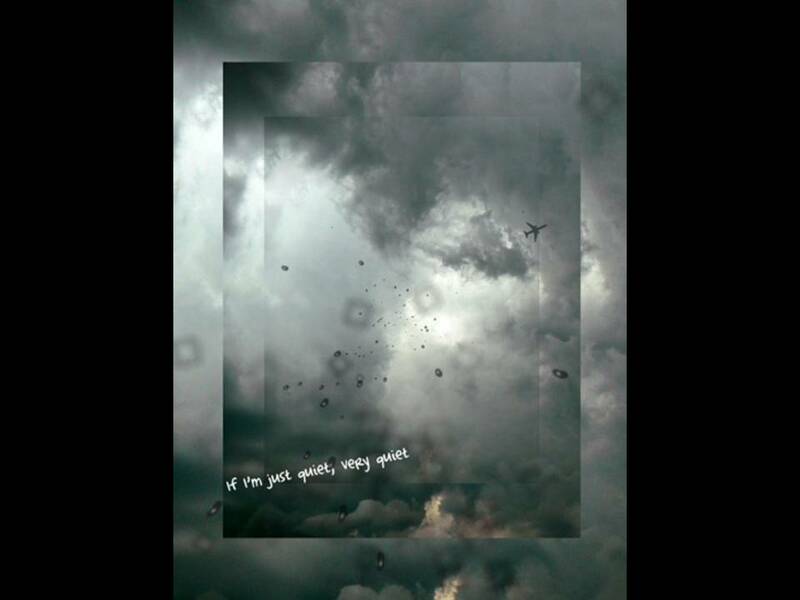 “Text Rain.” 13 Mar. 2011. <http://camilleutterback.com/projects/text-rain/>. Wardrip-Fruin, Noah. 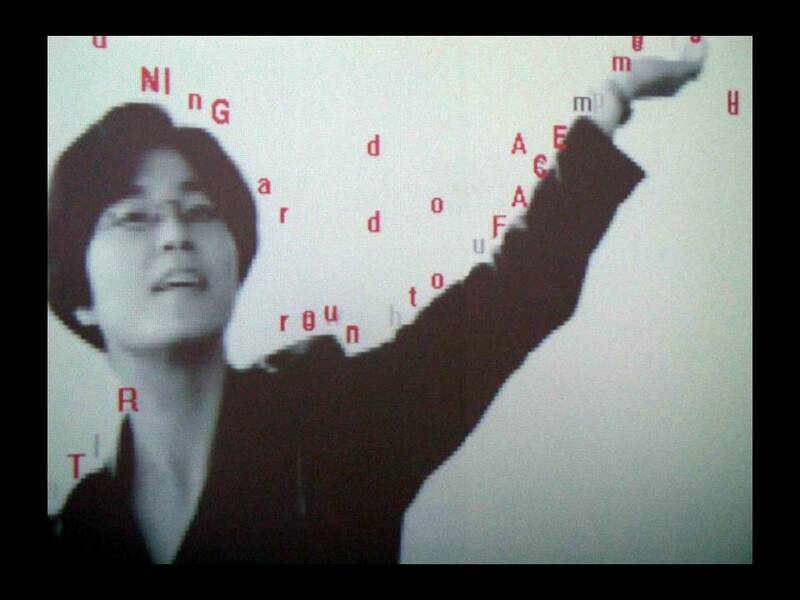 “Playable Media and Textual Instruments.” Dichtung-Digital 1 (2005). 30 Dec. 2011. <http://dichtung-digital.mewi.unibas.ch/2005/1/Wardrip-Fruin/index.htm>.